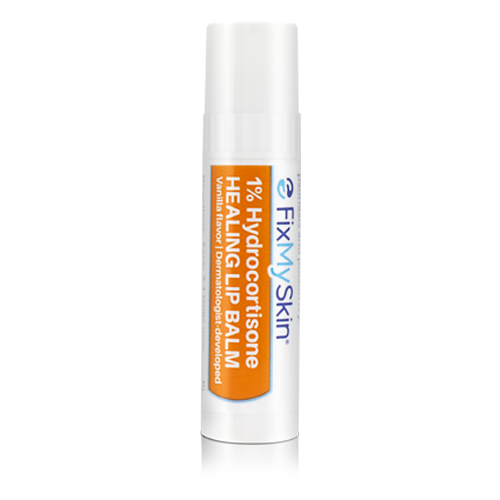 FixMySkin Healing Lip Balm – Vanilla is similar in application and style to a drug-store lip balm with one major exception: FixMySkin uses 1% hydrocortisone to repair chapped skin faster that the average, non-medicated drug-store solution. Hydrocortisone is a topical steroid typically used to treat inflammation and irritation. 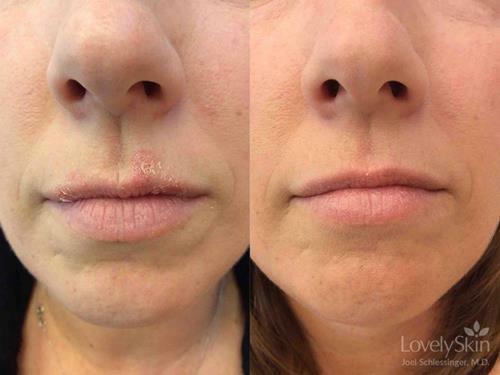 This medicated healing treatment is perfect for those who constantly battle dry, chapped lips, delivering hydrocortisone deep into the skin to repair and heal cracked skin in a non-greasy, subtly vanilla-flavored formula. Meadowfoam seed oil, shea and cocoa butters are powerful, natural ingredients which nourish and soften the skin’s moisture barrier as it heals. 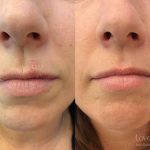 In addition to being a hydrating lip balm, this FixMySkin can also be used as quick relief for other common concerns like small areas of chapped skin on the face and body, eczema, psoriasis and bug bites. A naturally occurring or synthetically created substance with potent anti-inflammatory and skin-healing properties. Apply up to 4 times daily. Discontinue use if irritation occurs.